Fireflies are an “electrifying” part of summer. To celebrate this exciting FREE event, enjoy an evening of nature, music, wagon rides, and outdoor fun. 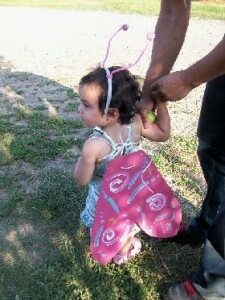 Celebrate fireflies by making your own wings and antenna. There will be a $5.00 charge for the crafts activities. 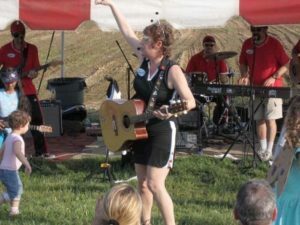 Enjoy live music by Miss Amy and her Big Kids Band while you wait for the fireflies to come out. Circus Place, New Jersey’s premier circus training facility, will showcase their Youth Circus Performance Troupe at Firefly Festival. Watch the students perform aerials, acrobatics and juggling. Visitors can also participate in interactive workshops and learn to juggle, spin a plate, balance feathers, and walk a tight wire! Come and enjoy a flickering, flying, fun evening on the farm. Admission is FREE. Parking is available at Terhune Orchards.